Despite the title, Joseph is working in section here, not in plan. 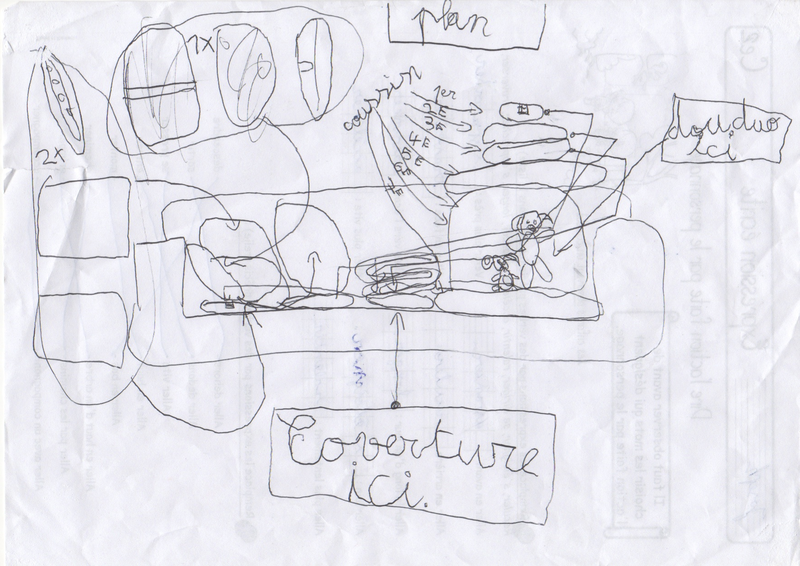 My favorite part of this working drawing for a sofa fort is the note “douduo ici“. Close observers and knowers of French might spot an error there — a child’s stuffed animal is a doudou. But he has two. I’m thinking then that the douduo (that being Doggy and Bunny) is a marvelous franglais play on words.